Bjork’s studies have shown that most people are inaccurate at measuring their own knowledge. Take for example a situation where you read a chapter from a textbook. You’d then assume you could answer some questions on that subject. This occurs commonly pre-exam when students look through textbooks and notes and only re-read what they think they have limited knowledge of. This method of revising is poor. However, if students quiz themselves, or work with others to quiz each other about the subject material they improve their learning judgments. They form stronger memories through the retrieval process and they also improve their future learning through better understanding of the original material. 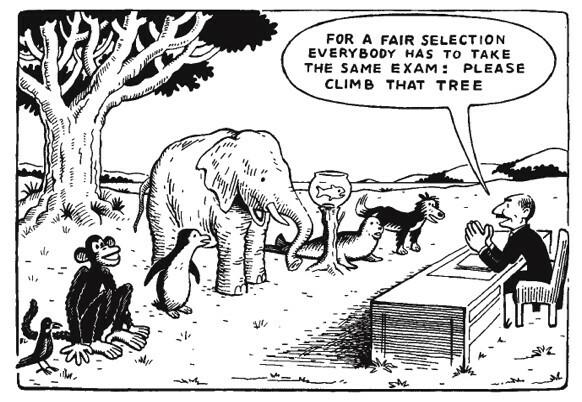 Unfortunately testing has taken too strong a role in assessment rather than a form of learning. Your challenge is to change your student’s mind set, get them to use testing as a learning tool. This entry was posted in How can "mindset" affect our learning?, The "Smart" questions facing education and tagged Cognitive psychology, educational theory, exam, learning, Robert Bjork, testing. Bookmark the permalink.